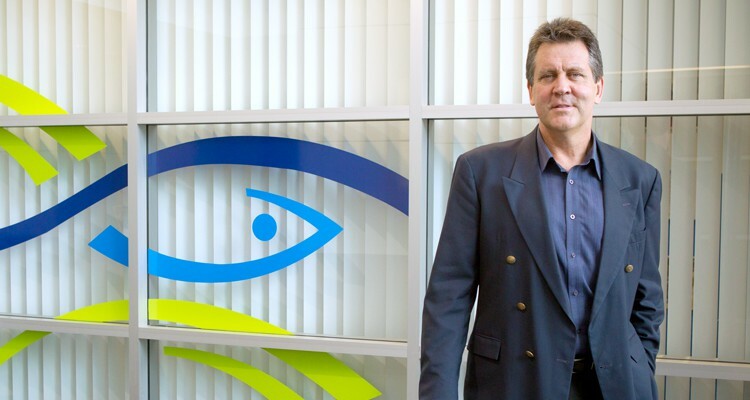 Dr Gary Jones at the eWater office in Canberra where he served as CEO from 1995, and CEO of the AWP since its establishment in May 2015. Dr Gary Jones, CEO of the Australian Water Partnership (AWP) announced his intent to leave the organisation at the end of February 2017, after 18 months in the inaugural role, and over a decade prior to that as CEO of eWater. 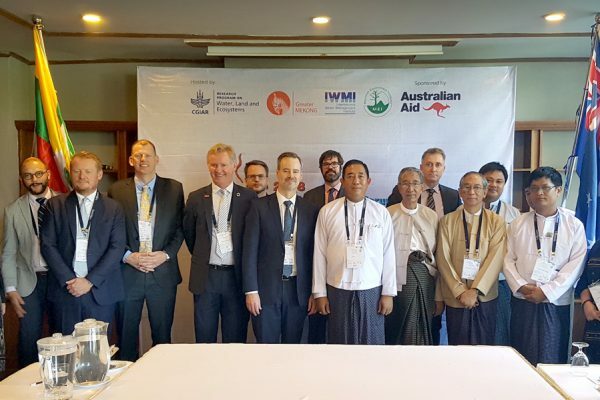 The AWP is an aid initiative of the Department of Foreign Affairs and Trade (DFAT), announced by Foreign Minister Julie Bishop in 2015, and eWater is the managing partner of the AWP program. “After eight years of commuting between our head office in Canberra and my family home north of Sydney, I find that a full-time presence is needed in Canberra, but this is just too much to ask of my family, hence the need to pass the reins to someone who can do just that”, said Dr Jones. The eWater Board is working closely with DFAT and the AWP Advisory Committee to manage the transition and search for a new leader. 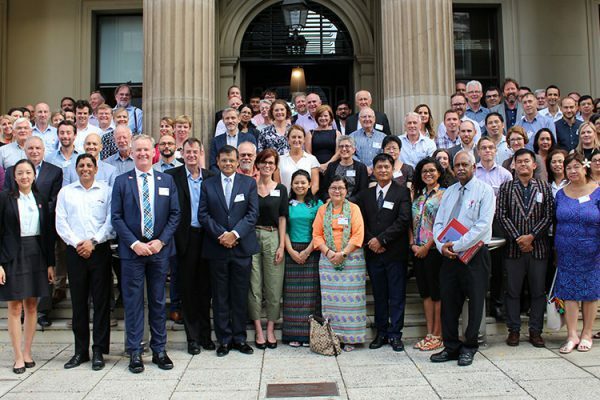 The Chair of eWater, Don Blackmore AM, highlighted the critical role Dr Jones has played in directing knowledge about water resources – coming from both the research and industry sectors – to influence water reforms in Australia and internationally. “As CEO of the CRC for Freshwater Ecology and then eWater CRC, Dr Jones was central both to the ‘first-step’ decision to return 500GL of environmental water to the Murray and to the development of Source, a world-leading modelling system for managing rivers”. Mr Blackmore also praised his efforts in successfully transitioning the eWater CRC into an independent, not for profit water science and management company, eWater Limited, in 2012. Dr Jones became the founding CEO of the AWP in 2015. Mr Blackmore says he “oversaw the establishment of this important national initiative, fostered strategic relationships with international partners and brought together talent and expertise from across the spectrum of Australia’s water sector. His strategic, scientific and organisational leadership has positioned AWP well for ongoing success”.